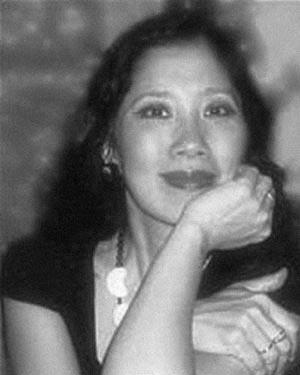 Susan Tsu is an award-winning costume designer whose work has graced the stages of major LORT theatres in the United States as well as international venues the world over. She headed the costume programs at Boston University and the University of Texas at Austin before joining the School of Drama at Carnegie Mellon, her alma mater, in 2003. Designing costumes for theatre, opera, and television, she is cited in Who’s Who in Fine Arts Higher Education and Who’s Who of American Women, and has been a MacArthur Foundation “Genius Grant” recommender. Memorable productions include the award-winning hit musical Godspell, The Joy Luck Club– a first time collaboration between Chinese and American companies, and The Balcony at the Bolshoi Theatre for Sarah Caldwell’s US-Soviet Cultural Exchange. Tsu’s recent design work includes King Lear, Collaborators, The Winter’s Tale, The Golden Dragon and Pantagleize for Quantum Theatre; The Revolutionists, The Last Match, Outside Mullingar, Vanya and Sonia and Masha and Spike, and Pop! for City Theatre; and—among others—Hairspray, The Book of Will, Shakespeare in Love, Twelfth Night and Romeo and Juliet for the Oregon Shakespeare Festival. Tsu’s designs are represented in numerous books and publications, and she has won many awards, including the 2017 Carol R. Brown Creative Achievement Established Artist, 2016 Irene Sharaff Lifetime Achievement, NY Drama Desk, NY Drama Critics, NY Young Film Critics, LA Distinguished Designer Awards and a Kennedy Center Medal of Achievement. During a 6-year term on the Board of Directors for Theatre Communications Group Tsu was on the task force that reconfigured American Theatre magazine and was a strong advocate for the Free Night of Theatre initiative across America now reaching over 600 cities. Susan has been a featured guest presenter at iSTAN (International Stage Art Network), at World Stage Design- Taipei, Taiwan and the Texas Educational Theatre Association; USITT; invited presenter at the Shanghai Institute of Visual Arts; At CMU she has been on the Miller Gallery Programming Leadership Committee member; and a wats:ON? Festival organizing partner. Tsu co-curated the National and Student exhibits for the 2007 Prague Quadrennial, and was the Artistic Director for the USITT-USA-PQ 2011 exhibit called From the Edge, shown at La Mama La Galleria, the A.A. Bakhrushin State Museum in Moscow, and at the Miller Gallery at CMU. Tsu has also curated the U.S. designs represented in the World Costume Design Festival in Vigan, Philippines, and Costume at the Turn of the Century: 1990-2015, a benchmark costume exhibit hosted by the A.A. Bakhrushin State Central Theatre Museum where 31 countries presented the work of 400 leading costume designers world-wide. Opening in Moscow, the exhibit has also shown in Salt Lake City, Utah, Asheville, NC, Fuzhou and Shanghai, PR China; and Warsaw, Poland. Tsu is the Chief Curator for Innovative Costume of the 21st Century: The Next Generation- an international exhibition featuring the world’s emerging designers involving 60 countries and over 100 curators. The exhibition will premiere at the State Historical Museum in Moscow in June of 2019. Susan’s own designs have been exhibited many times including a major exhibition at Lincoln Center Library called: “Curtain Call: Celebrating A Century of Women Designing for Live Performance” and “From Shakespeare to Sondheim” at the McNay Art Museum in San Antonio, Texas. Tsu has been elected a USITT Fellow and is a member of United Scenic Artists Local #829, the National Theatre Conference, and Phi Kappa Phi. She proudly celebrates the accomplishments of all her former students! 2017 CAROL BROWN AWARD / ESTABLISHED ARTIST / SUSAN TSU from Joshua Franzos on Vimeo.